Never before have these topics been so completely explained. 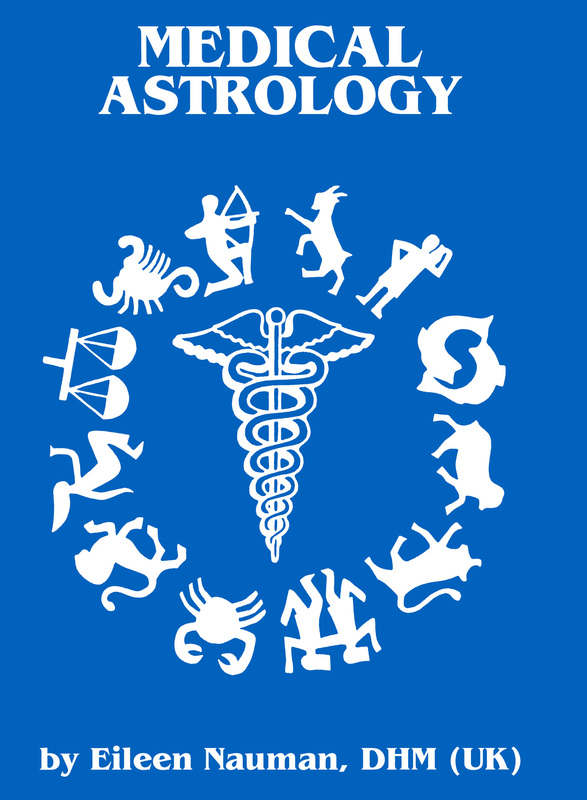 As an aid to individual health, medical astrology has been a most popular phase of stellar science. Now, Eileen Nauman has integrated this topic with the most modern information on nutrition to provide a truly encyclopedic reference, written in easily-understood language, for anyone interested in their own health—astrologer and nonastrologer alike. Nauman’s MST approach combines a detailed, explicit case history with astrological analysis to isolate the underlying causes of illness while providing nutritional guides to restoring wellness. Designed by the author, and used successfully by Nauman and her students for over eight years, MST has often saved thousands of dollars in lab fees by suggesting exactly which tests will give the desired information first. Seven detailed case histories complete this section, all taken from Nauman’s professional files, showing medical astrology in action. Part II is the guide to nutrition. The most up-to-date information on this rapidly changing field is given, written for any health-oriented individual. Nauman has complied from numerous references a superb catalog of information on vitamins, minerals, homeopathy, and Bach flower remedies, removing the necessity for the reader to cross check several sources. Nauman gives the history and characteristics of each nutrient and recent clinical research on each. Another chapter explores the endocrine system—long neglected by orthodox medicine and not rapidly gaining doctors’ attention. A chapter on medical transits completes this monumental reference work. The glossary of medical terms, bibliography, and lengthy index makes this work one of the most useful and useable references available not only astrology but also in the entire field of physical well-being. Submitted by Monique N. Ferrier: St. Martin. French West Indies on Sun, 01/07/2001 - 09:15. Can't wait to read about what homeopathy can do coupled with astrology. Submitted by saraheil on Mon, 08/22/2016 - 05:11. I honestly do not really into astrology, however I would be really interested to write my essay online and especially on medical astrology. Submitted by Cybele Lerman:	AZ on Wed, 10/15/2008 - 09:13. I use it all the time. ... it covers so many different energetic healing arts and combines them all together. Eileen Nauman does a wonderful job.